Colombia Revolution, the women’s club team from Medellín, came to the 2017 US Open with the goal of preparing for the WFDF 2018 World Ultimate Club Championships. The ultimate world had already been put on notice with the success of the Colombian women at WUGC 2016, where they took second, and at the mixed 2017 World Games, where, led by their women, they handed the US their only loss of the tournament before coming up just short in the final. But as the No. 9 seed, there were questions as to how that success would translate to the Club Division. Could the young Colombian stars keep up with the experienced US talent, and would the team’s depth be enough to keep up with the more storied programs in their pool? Many may have considered just making the semifinals an accomplishment. But Revolution not only made the bracket but got a 15-10 win over Riot, who had lost on double game point in the 2016 National final and had only one prior loss in the 2017 season, in the nationally televised semifinal. In the US Open final, Revolution faced a rematch with Denver Molly Brown, who beat them 15-12 in pool play. But Revolution was clearly more comfortable in the last game of the tournament than the first, as they cruised to another 15-13 victory that never seemed as close as the final score indicates. How did Revolution surprise the top three seeds on their way to the US Open title? Partially, it was on the backs of the anticipated elite athleticism and throws of their star players. But even more critical to their success were the unique offensive and defensive sets implemented by head coach Mauricio Moore that US teams struggled to adapt to. Revolution altered typical US offenses (sidestack, split stack) to fit their team strengths of tight throws, footwork, and field vision. In this article, part one of a two part series, we’ll take a closer look at the innovative offensive tactics that Revolution used to surprise and upset elite US club teams on their way to the first US Open Women’s title won by an international team. In part 2, we’ll focus on the defensive tactics, including switch-heavy schemes and vertical stack bracketing, that confused the US teams and gave Revolution defenders ample opportunities at poach blocks. Perhaps these schemes will help them win a World Club Championship this weekend. When far from the end zone, clear the deep space by putting many offenders around the disc and attacking small spaces with shorter passes. When near the end zone, clear the handler space with a deep, no dump vertical stack that gives their throwers freedom to hit isolated receivers on the force or break side. When on the trap sideline, play against the defensive expectations by continually attacking into the small force side space. At the start of points or when far from their attacking endzone, Revolution’s offense often kept many players in the shallow space around the disc. 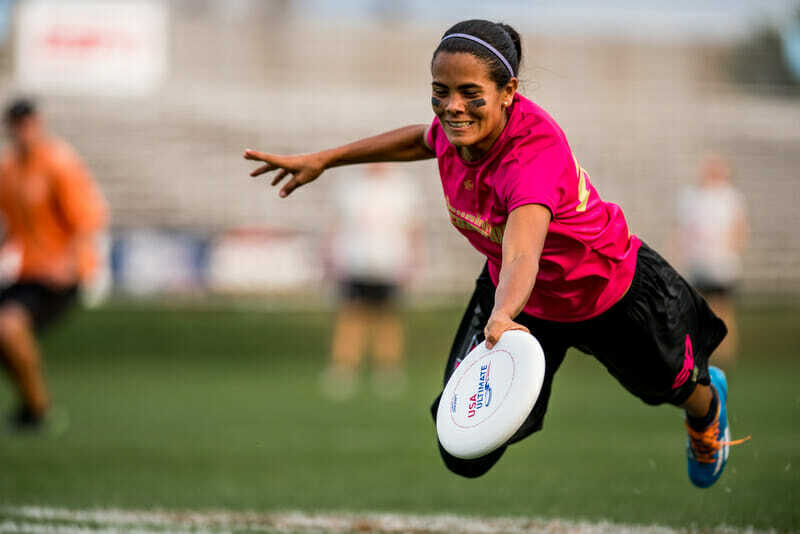 This strategy opens up the deep space for perfectly timed deep cuts when one of their best throwers receives the disc (often Valeria Cardenas or Yina Cartagena, who had an impressive 39 assists on the weekend). This deep throw to Mosquera (one of their best deep threats) was set up by six offenders being within 15 yards of the disc, and Mosquera starting her sprint from even with the disc. Revolution has incredible throwers who are capable of putting hucks way out in front of their receivers and having the disc hang for easy receptions. When the team’s offense is set up with so many players near or behind the disc, the deep space is wide open for these quick scoring opportunities. Revolution used three primary pull plays to get them into their favored offensive position: unique handler-heavy plays, sidestack, and split-stack. However, when using side- and split-stack spacing, they rarely ran plays or attacked spaces that US defenses are typically accustomed to. Revolution was able to capitalize on Riot and Molly Brown’s unfamiliarity with their playstyle from the very beginning of points with this offensive spacing that is unusual in the United States. Many points, especially those with short pulls, began with a ‘free flow’ offense where Revolution brought lots of players behind or around the disc in order to complete many small throws at low stall counts. But despite starting with many players behind the disc, after gaining some yards and momentum, the Revolution handlers quickly transitioned downfield, leaving large open spaces around their throwers. This transition from their handler-heavy far-from-endzone offense to their near-endzone isolated thrower offense was organic and smooth, making it difficult for defenders (especially the handler defenders) to maintain proper defensive positioning. This handler-initiated, quick moving offensive technique was in stark contrast to the typical offenses run by Riot and Molly Brown, which prioritized large open spaces and longer throws. This pull play from Molly Brown exemplifies their willingness to hold the disc for longer periods in order to gain big yards on large downfield cuts. While Revolution’s handler-heavy pull plays were effective, the team tended to start points with side- and split-stack offenses much more often. Still, they adapted these set plays in unique ways to conform with their principle of clearing the deep space and attacking smaller spaces around the disc. Revolution tended to start sidestack points with three handlers, in contrast to most US sidestacks that keep only two back in order to remove poach defenders and maximize throwing angles. Revolution often attacked upfield with their handlers first, getting the disc moving and changing the defensive expectations of ‘open’ and ‘occupied’ space. In this clip, after attacking downfield with their handlers, the isolated cutter moves uncontested into the recently-cleared handler space. Revolution is highly skilled with small throws and cuts, so even from a sidestack they weren’t afraid to use handler upline cuts and shallow downfield cuts to move the disc quickly, even in tight spaces. While most defenses will try to poach the large downfield space against a sidestack, Revolution capitalized by using their third handler to start disc movement early, switch the field, and attack with handler cuts first. 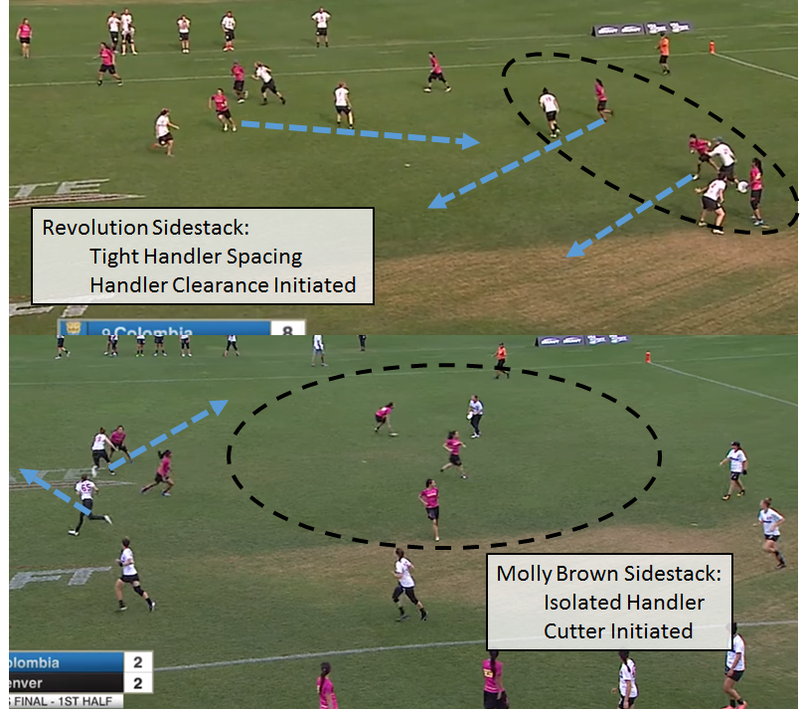 In contrast, watch how Molly Brown started this sidestack offense. They spread out away from the center handler, attempting to open up force and break side throwing lanes. Their offenders stayed more stagnant on the sideline, leaving the far sideline open for Lisa Pitcaithley to make the primary cut, and Megan Ives the secondary isolated-space cut. Finally, even when initiating with a typical cutter-first progression, Revolution continued to keep the defense on their toes by shifting the stack and attacking the previously occupied space. In this example, Revolution again employed the three handler starting position. This time, they used a more typical isolation clear and cut to open up the first throw, but notice how their stack quickly shifted away from the starting sideline, opening up that space and allowing them to attack where the defenders were not expecting to guard. When running split stack, Revolution again used different looks than many US club teams are used to seeing. Typical split stack plays involve isolating two cutters along a sideline, and giving them lots of room to work using cycle cuts and well time deep looks (GOAT’s use of the split stack was well covered in this Ultiworld article by Joseph Marmerstein and Sean Childers). In contrast, Revolution typically kept an additional handler near the sideline and elected for shorter passes and lower stall counts, typically towards the trap sideline. And similar to their sidestack plays, if Revolution didn’t get the trap sideline looks they wanted, their far sideline stack would move downfield, opening up big space for a swing and change of direction. This offensive set was slowed at times by zone defenses thrown by both Riot and Molly Brown, but Revolution adapted easily because the offensive spacing played to their team’s strengths: keeping many players near the disc allowed quick cuts and throws into tight spaces, and kept the disc moving at low stall counts. When approaching the endzone (within the last ~30 yards), Revolution used a no-dump, deep vertical stack that isolated cutters from the front of the stack in the large space between the stack and thrower. This spacing highly contrasted their pull plays and far-from-endzone sets, but played to their strengths of quickness, excellent footwork, and elite break throws. In this set, the Revolution cutters often initiated by running directly at the thrower, allowing the throwers to dictate force or break side movement with the throw. This deep vert stack offense was Revolution’s primary endzone set, but was also occasionally utilized early in points. With incredible break throwers, this scheme keeps defenders guessing as to which side to guard for both the isolated cutter and the stack offenders making continuation cuts. Revolution is perhaps the most comfortable team in the world working the disc down the trap sideline. Many US teams preach against ‘jamming it down the force side’, but Revolution uses this strategy with high success. 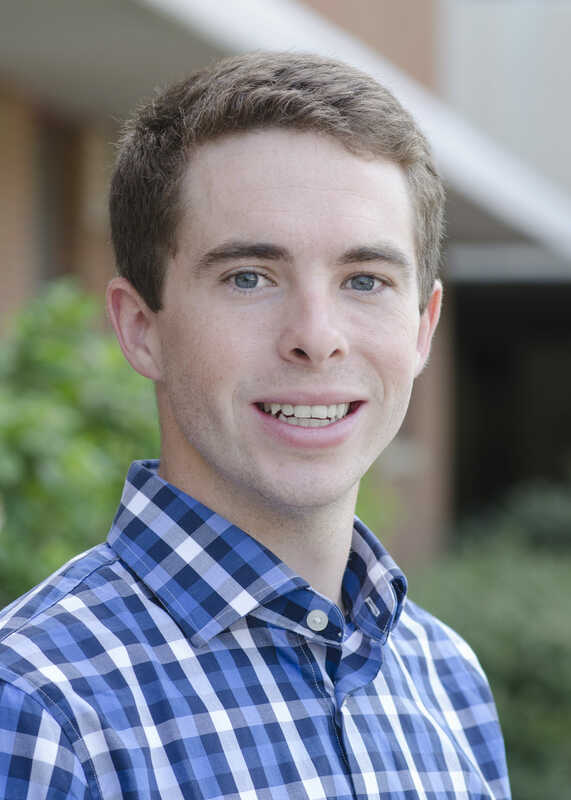 Because they are highly skilled at small cuts and throws, Revolution is not bothered by the narrow throwing and cutting windows which most US teams would consider low percentage chances. By bringing so many players in small spaces near the disc, Revolution forces defenders to choose: do you poach a few yards to narrow the throwing lanes, or do you stay tight and risk guarding a non-threatening defender and allowing easier downfield throws? Revolution uses three main techniques to succeed with this trap-sideline strategy. First, they have elite give-and-go players who can easily beat their defender with their first step after a throw. Valeria Cardenas and Yina Cartagena, especially, use the give-and-go to extensively to keep the offense moving quickly to increase opportunities to use their incredible throwing skills. Second, they makes cuts counter to defensive expectations in order to get open on the force side. When the reset space is clear, most club teams will run an ‘off the line’ movement, throwing a break throw to the middle of the field and hoping to continue that flow towards the break side and catching defenders guarding the the wrong side. Revolution, however, continually fakes this cut, playing to the defender’s expectations to get them out of position, and then jab steps and cuts upline to the force side space. In this clip, Revolution looks off two easy ‘around’ looks which would move the disc to the break side. The majority of club teams would consider this an ideal look for an offense, but Revolution plays against defenders expectations by prioritizing the trap sideline space. They can even use this same principle on the break side, faking the ‘expected’ swing pass that many offenses value, and then cutting into the narrow ‘inside’ lane. Finally, Revolution’s players used incredible footwork to get open in tight spaces, especially in the endzone. They used a variety of techniques – driving cuts into their defenders, double moves, and jab steps – to beat their defenders to the narrow trap-sideline space. In these two clips, we can see examples of the ‘driving’ cutting technique frequently used by Revolution to beat their defenders to the force side. First, Yina Cartagena cuts directly at her defender, ‘driving’ her into the shallow space near the handler and opening up the deeper space for an easy leading pass and score. In the second clip, we see Manuela Cardenas beginning a cut on the backside of Sarah Griffith, faking deep, and then cutting under towards the handler. When the thrower isn’t ready to hit her, Cardenas then maintains her spacing with a second move by driving her cut back into Griffith, forcing the defender deeper and keeping the throwing window (in both space and time) open. The ‘double move’ cut was an especially effective cut pattern used by many of the Revolution players to get big separation from their defenders. Manuela Cardenas produced perhaps the most impressive example of the double move for the first score in this clip. Manuela quickly fakes under, deep, then under again to throw off her defender just enough to get open to the force side endzone cone. In the second clip, the force-side space is occupied, but the move gets Cardenas an open reset. The double move works great even when further from the endzone, like in the third clip where Ximena Montaña uses it to get wide open for the longer scoring pass. In all three examples, the Revolution offenders do an excellent job reading their defender’s hips to time their fakes and final attack perfectly. In these final three clips, we see examples of Revolution offenders using upper body fakes and jab steps to beat their defenders. In the first clip, Alejandra Torres takes advantage of her defender’s positioning, who has her back to Torres, using a simple full-body fake to the inside shoulder. When the defender turns around, a big space opens for Torres to receive a break-side leading pass. The second clip shows Yina Cartagena, again taking advantage of the defender’s back-side positioning, using a simple jab step and upper body move to fake under and get wide open on the upline cut. Lastly, Laura Ospina fakes the backfield reset, waits for her defender to commit to defending the swing pass, then uses great footwork to quickly change direction and get open upline. With unfamiliar pull plays, Revolution caught the US defenses off guard with fast initial disc movement and attacking unusual spaces. Later in points, Revolution played to their strengths through small trap-sideline movements and by keeping the deep space open for their incredible deep throwers. Near the endzone, they used a no-dump vert stack to open huge spaces around the throwers and take advantage of their remarkable break throws. These schemes enabled the Revolution offense to go relatively unchallenged against elite US competition in the semis and finals, yielding only three breaks in the two bracket games. In part two of the series (for Ultiworld subscribers only), read about Revolution’s defensive schemes. Comments on "Revolution Innovation: How The Colombians Won The US Open (And Might Win WUCC) [Part One]"